There’s no better way to get in the holiday spirit than to enjoy an evening of ice-skating. So whether you’re looking for an outing with the kids, a romantic date night, or a new seasonal tradition, head to the 14th-annual “Holiday on Ice,” which celebrates its opening night at 5 p.m. Nov. 17 at the NASCAR Hall of Fame Plaza, 400 E. Martin Luther King Jr. Blvd. in uptown Charlotte. 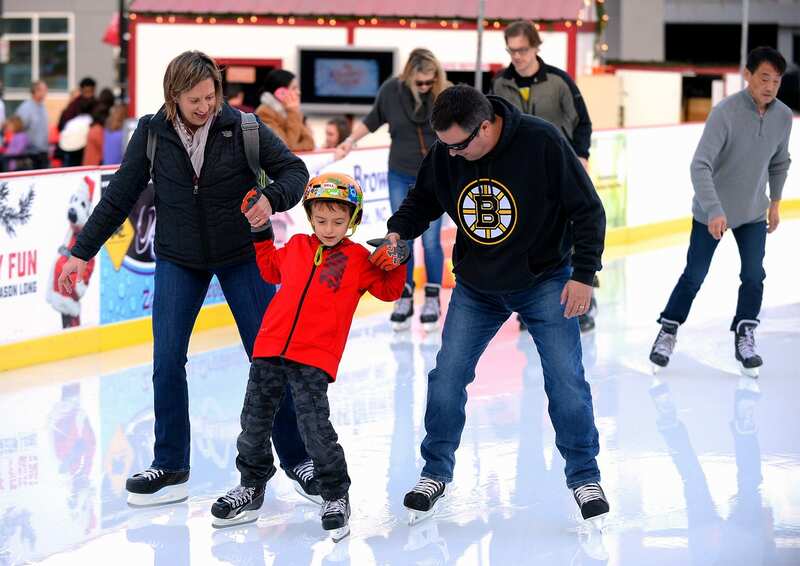 It’s the city’s only outdoor skating rink, and thanks to a refrigerated chiller—a system that pumps glycol through tubes beneath the rink at 2 degrees below zero—the rink is maintained throughout the holiday season, no matter the temperature outside. Cost is $14 for all-day skating and skate rentals. Season tickets available for $50, including rentals. Details: holidayonicecharlotte.com.